Each of the following locations can be registered for Online. Click on the preferred location below for the date, time, and registering information. 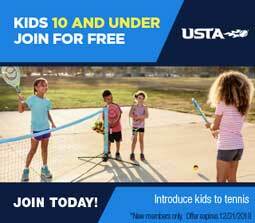 **First time players ages 10 and under recieve a FREE USTA membership using promo code FYFE. For 10 & Under participants, go to www.tryusta.com/juniorfree or call 1-800-990-8782. Ages 11 – 18 years old go to www.usta.com/membership or call 1-800-990-8782. Click on Junior Membership and then the number of years for the membership. The next page is the parent’s information (not the child’s). Complete the registration and write down your USTA member number. ALL players required to have a valid USTA membership. Under “Team Number,” type in Team Number listed with the preferred location. Enter the Junior USTA I. D. membership number.